The offices of Dr. Salomon Melgen raided by the FBI and the Department of Health and Human Services last week served as the postal address of 11 mysterious companies linked to the ophthalmologist, who is now the subject of two federal investigations into allegations of Medicare fraud and public corruption. The wealthy donor to Sen. Bob Menendez (D., N.J.) runs his eye center from offices at 2521 Metrocentre Boulevard, West Palm Beach, Florida. That address is also listed in the Florida secretary of state records for seven active companies and four now-defunct businesses. The Free Beacon found the majority of Melgen’s companies listed at the address do not have websites to advertise their services. Little information could be found to indicate the types of businesses or services offered by the companies. A foundation named after the doctor, the Sal Melgen Foundation, Inc., was registered in West Palm Beach. The foundation was formed in 2007 and was dissolved nearly two years later. Melgen was listed as the president. A company by the name of SFMEM Inc. was also run from the same office building. It was dissolved only 18 months after it was formed. Melgen was listed as the director of that company. Another company, called Kites and Tulips, LLC, was formed 16 months ago. Its website is now under construction. An email to the address listed on the website was not returned. DRM Med Assist, LLC, was formed in June of 2009, and the doctor is listed as its manager. DRM owns the private plane, a two-engine Canadair CL-600 Challenger, on which Melgen and Menendez flew to the Dominican Republic. The Associated Press reported the plane has made more than 100 trips to the Dominican Republic since July 2009. Menendez has come under fire for at least two flights he took on that plane. The senator never listed the flights in his financial disclosure forms as gifts and only reimbursed Melgen $58,500 after the probe came to light. The wealthy Democratic donor’s business dealings from his West Palm Beach office building also include La Vox, LLC, SFM Investments, Inc., and Live Sports IP, LLC. All three companies list Melgen as a principal. 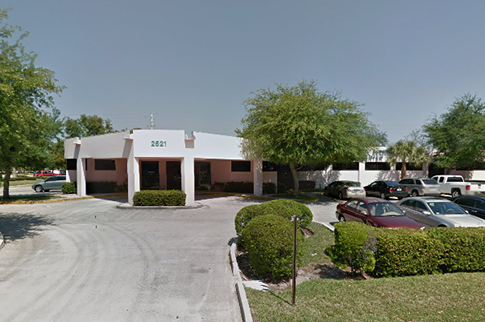 Two other companies, Melsan Export Import, Inc., and Melissa Air, Inc., also listed as their primary address the doctor’s South Florida office building. Both of those corporations are now dissolved. Boarder Support Services, LLC, is another Melgen company run out of the West Palm Beach building currently embroiled in controversy. Boarder Support purchased the Dominican Republic port security firm, ICSSI, which is now part of a growing scandal surrounding Menendez. Menendez spoke to State Department officials regarding Melgen’s contract. Additionally, Menendez spoke about creating jobs in New Jersey and Florida and also pointed out a U.S. business that had a contract to do "X-ray of all cargo that goes through the ports" during a hearing over which he presided last July. The contract to which Menendez referred was with Melgen’s company. Ken Boehm of the National Legal and Policy Center said Menendez ran the hearing and was the only senator present. He also chose the panel that testified before it. Boehm said Menendez was careful not to mention Melgen’s company by name and did not disclose that Melgen was one of his biggest contributors. "It’s clear that both Melgen and Sen. Menendez were pushing hard for this contract," said Boehm. Spokesmen for Menendez claim he would have done for anyone what he did for Melgen. However, Melgen is not a constituent, has never lived in New Jersey, and "he’s his biggest contributor. No one is even close in terms of contributions," Boehm said, adding that there is an "appearance of impropriety." That impropriety is receiving renewed attention in light of $700,000 in donations by Melgen to Sen. Harry Reid’s Majority PAC. Two donations, $300,000 and $100,000, were made prior to the hearing. Another $300,000 was made in October, one month before Menendez faced re-election. Boehm said Menendez had an "easy race last year, he didn’t need the money." Boehm described the donations as "pretty excessive" and said they "begged the question, what are they buying?" He said Menendez backing a massive border security contract for an eye doctor with no experience in border security that stood to make millions from the deal raised questions. "It’s a dubious contract being helped along by the senator. … [Menendez] didn’t disclose his relationship with Melgen, which is gigantic," said Boehm. Controlling the inspections in the seaports is so important that powerful Dominican groups with media connections are lobbying the government of President Danilo Medina to maintain the same weak and inadequate control system that is less effective and more expensive than the one proposed by Boarder Support Services, Inc., an American company. Ten years ago, then-President Hipolito Mejia and the Dominican Congress approved a "contract-law" to give the company ICCSI management of the inspections, including use of the most advanced screening technology. ICCSI was bought this year by the U.S. company Boarder Support Services with the support of an executive order signed by President Leonel Fernandez. Nowhere in the article did VOXXI name its chairman of the board and his ownership of ICCSI. The company never mentioned Melgen owned the firm that would stand to make between $500 million and $1 billion over two decades if the contract was continued. VOXXI was "being disingenuous," said Boehm. This entry was posted in Politics and tagged Bob Menendez, Congress, Cronyism, Democratic Donors, Salomon Melgen. Bookmark the permalink.